There has been a lot of ink spilled lately about trans women and male privilege. I have seen so many discussions recently where people ask the question “Do trans women as a whole have male privilege and if so what kind and how much?” And then you see some trans women writing articles responding to this drivel by arguing “That doesn’t match my experience” and then go on to detail how their lives were not filled with privilege and how in fact they were brutalized for being feminine as children and did not internalize society’s messages about male socialization the same way cis boys did. And on the other hand, some trans women are writing articles saying “I did have male privilege but I gave it up or am in the process of giving it up oh and btw I’m still a woman” or something along those lines. I’ve seen some of these articles also make the general claim that some types of male privilege were afforded to ALL trans women in virtue of living a life pre-transition as someone who was coded as male. But then other trans women deny this reflects their own experience growing up and we are going in a circle, with universal claims being negated by individuals claims and individual claims being taken as proof of some universal claim. We have a general claim about ALL trans women being refuted by individual claims about SOME trans women. But the trans women who did not experiences themselves as having male privilege often make the same mistake of thinking their experience is universal. That’s what so wrong with this whole discussion. There are no universals. There are no generalizations to be made in terms of ALL trans women – every trans woman has a difference experience of living pre-transition as well as experiences their loss of privilege via transition differently. And furthermore, people like to frame the discussion in terms of the pointless question of whether trans women’s experiences are identical to cis women’s experiences. But who cares? It doesn’t matter. Our experiences don’t need to perfectly match the cis experience to be representative of womanhood because to think otherwise is to buy into the cis-sexist belief that the cis experience is the “default” and the trans experience is a pale imitation. But in reality the trans experience is equally valid, it’s just more rare. Personally, my own experience pre-transition featured a good deal of male privilege which I’ve wrote about elsewhere . I’ve retained some vestiges of that male privilege such as the privilege having grown up not thinking of myself as an emotional creature but rather a rational creature. I still have the privilege of not worrying about getting pregnant. But much of the other privileges I gave up during transition or am in the process of giving up. I now fear walking down the street at night whereas before I never did. I now fear cat-calling – before it was not even on my mind. I’ve lost the privilege of not worrying about my drink being drugged at a bar. I’ve lost the privilege of not fearing men. The list goes on. The point is that privilege is rarely so monolithic or one-dimensional. My privilege as a white person and the vestigial remains of my male privilege is balanced against my loss of privilege as a woman and especially as a trans woman. But my experience says nothing about the experiences of other trans women, who experienced their gender much differently than I did as a child and as I do now. I was never really made fun of for being feminine – my feminine behaviors were done in secret behind closed doors and so they weren’t a target for harassment. I was able to regiment my personality into a public boyish self and a private feminine self. It’s a myth that gender identity is formed for life within the first 5 years of life. While that might be true for many people it is not a universal truth. 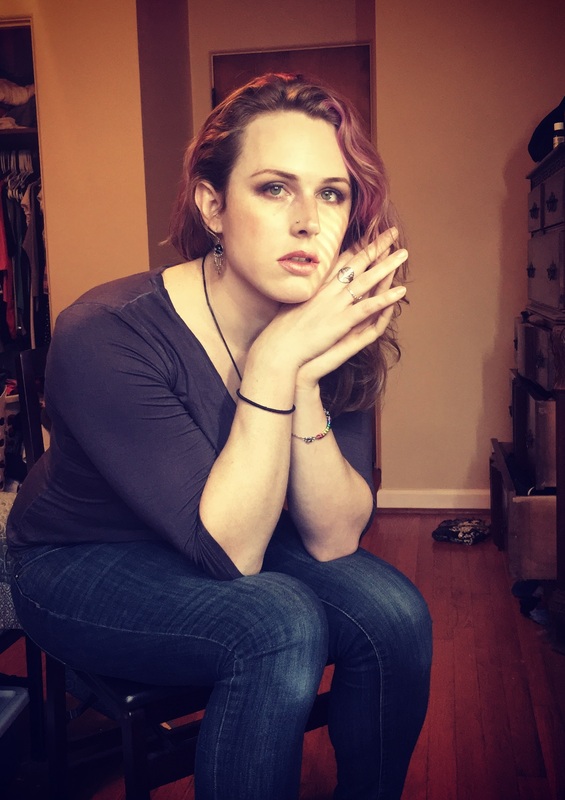 My gender identity has evolved significantly since I was 5 years old and I know I am not alone though I have the feeling that many trans people have a bias towards interpreting their memories as having an earlier identity because that narrative is seen as “more valid” than the ones where gender identity evolution occurs later in life. Not all young trans girls are able to hide their natural femininity and they are brutalized for it. If someone went through that experience and they are telling you they did not have male privilege then I believe it’s epistemically best practice to head what they are saying and take their narrative seriously. Likewise if a trans woman says she used to have male privilege but has since given most of it up, we need to listen to that narrative as well. Cishet people seem to be more convinced that if a trait is displayed earlier in life it is “more natural” and thus a product of someone’s core essence. But that’s the wrong question to be asking. Innate or not, natural or not, what we should care about is if a behavior, trait, or personality is authentic and representative of someone’s deepest vision for how they want their life to go, regardless of the “origins” of that vision. If someone’s trans identity originated in their 40’s that does not make their trans identity less authentic than someone who’s trans identity originated in childhood. If someone starts painting in their 40s does that make them “less” of a painter than someone who has been painting since infancy? A painter is someone who paints. A trans person is someone with a gender identity different from their assigned gender. It’s not “gender identity different from assigned gender but also having emerged by five years old”. It just has to be different. But the causal origins of the identity itself in terms of when it originated in the life-line are not relevant for determining the authenticity of of the identity. My trans identity only surfaced in my late 20s. It would be SO easy and no one could prove me wrong if I began saying things like: “I felt off during puberty but I only learned the words to articulate my feelings years later”. In a sense that would be perfectly true. I did have gender issues at a young age. But I think I would be deluding myself if I claimed I had any awareness of ever wanting to transition at that age. Just like gender identity doesn’t have to be cemented in childhood, neither does dysphoria have to originate in childhood. Dysphoria can surface at any point in a trans person’s life. I didn’t start feeling real dysphoria until my late 20s. The longer we hold onto the traditional narrative that all trans people somehow “knew” then they were children, the longer we will be unable to see the true diversity of the trans community. The problem comes when we try to generate a one-size-fits-all theoretical framework for thinking about ALL trans women as sharing some kind of universal essence. But that’s a pipedream. There is no universal narrative. The human mind strives to “connect the dots” and create some kind of overarching generalization that is true of all trans women. But we need to resist that and instead focus on studying individual differences. Plenty of trans women still practice male privilege, especially if they live part time. When they speak, they expect people to listen to them without be challenged at all, whether they full time or part time. Not the experience non-trans women have! I agree with this to a degree. Many trans women simply fail to recognise their male socialisation and still expect to be treated as a woman. It is a fine balancing act but for me an important part of transition is realising the male socialisation and tackling that. Thanks for this great answer to something I was struggling with myself. People are people, our experiences are very different from each others and the one size fits all mantra is trying to simplify a very complex idea. As a psychologist, it bugs me how many people seem to think the psychological complexities of gender socialization can be boiled down to simple statements. Gender socialization is both something done to a child and something they actively participate in. Children aren’t just passive receptacles for society’s teachings, they actively construct an understanding of the society they live in and how they fit into it. As such, trans women’s experience of male privilege depends both on how they are perceived and how they perceive themselves. With those so often being diametrically opposed, it stands to reason that there won’t be a simple answer to how male socialization affects trans women.